Companies with a happy engaged workforce will see greater productivity and returns. The world has moved forwards and clocking in/out to the traditional 9-5 is a thing of the past; employees used to see their job as a requirement to pay the bills. However, in the changing world more people want to see the business they work for reflect their values and beliefs. Many businesses still see people as commodities rather than their biggest assets and potentially biggest liabilities; high profile whistle blowers have come close to crippling businesses by destroying their reputation. If you push people hard enough against their will something will break and it can have far more impact than a letter of resignation. 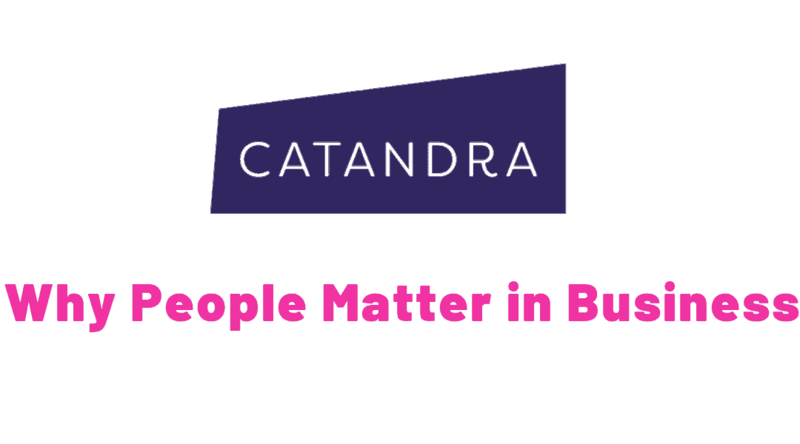 At Catandra we put people at the forefront of what we do, whilst businesses exist to make a profit there should be benefits and equality across the workforce. A strong leadership team will engage their staff with a vision and provide the environment and tools that enable them to grow and deliver that vision. In this perfect scenario the workforce feel valued and the company will deliver growth as everyone works towards the same objectives.